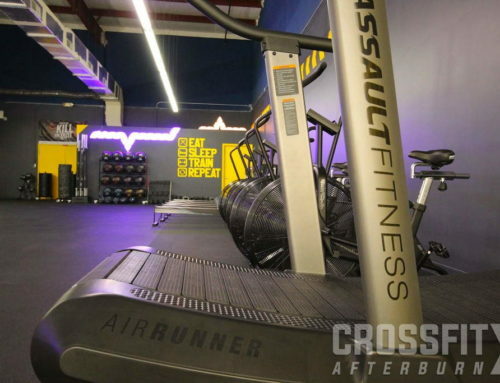 Our Reunion Area Crossfit AfterBurn Gym is composed of several movements based on functional fitness. The desired effect? Efficient, sustainable exercise that improves the health of your body and mind. 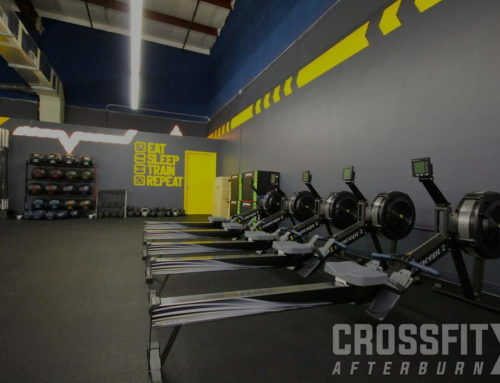 One of the most important and effective movements in CrossFit is rowing. The beauty of rowing is that no matter your limitations, you can row. 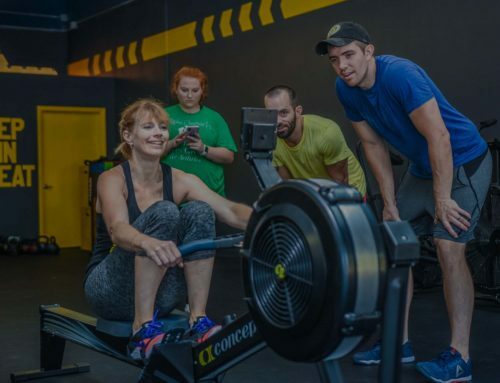 Ever since opening our state of the Art Reunion Area Crossfit Gym we have found the Concept2 erg rower to be among one of the most enjoyable and effective pieces of equipment. Rowing is a triple extension movement, this means that three phases of movement are required to perform that action correctly. Three phases that work the entire body and as a result maximizing the number of calories burned for your time. From calorie targets to fun team events. (such as the one pictured above.) Rowing offers a fantastic, low impact high calorific requirement workout that is great for fat loss and muscular endurance. 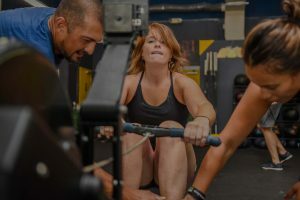 All these factors make rowing a fun and important part of CrossFit and Group training. If you’re looking to lose weight and improve your health, then come in and give one of our CrossFit and group training classes a try. 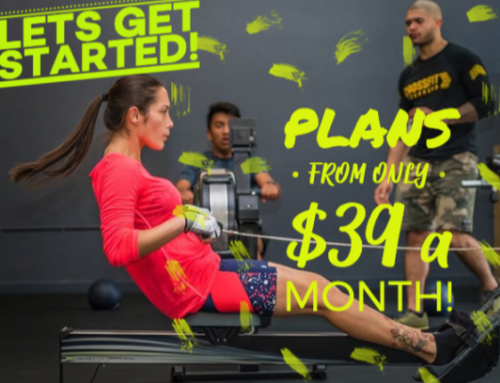 The Reunion Area Crossfit AfterBurn gym is just mins from Champions Gate and Reunion Resort and offers 3 free classes for local residents looking to give it a try. Why not come down and join our fun community of members that help make training one of the best parts to your New Year. 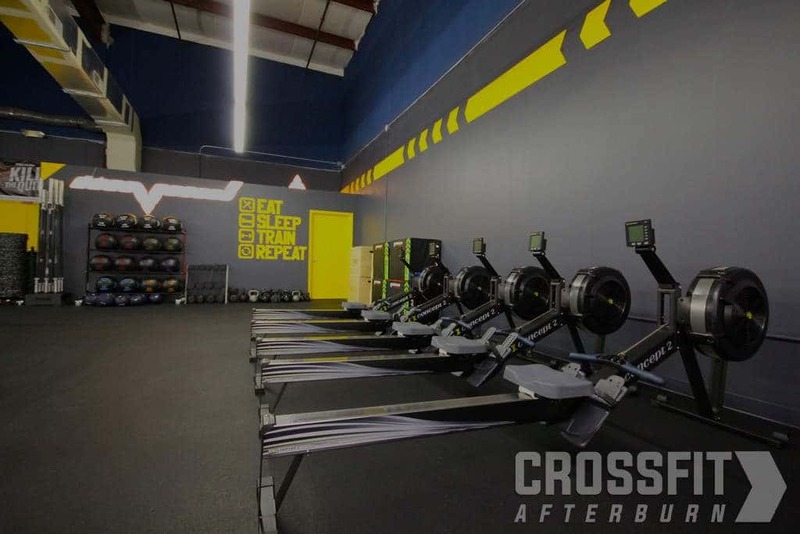 Don’t delay any longer, the Reunion Area Crossfit gym, CrossFit AfterBurn is waiting to help you achieve your goals. See you soon at class! Head Coach – JC Gordon.